New Edition with Upgrading Materials of Genuine Materials and couble paddings. Even Stronger with finest leather bogu for great protection and durability. 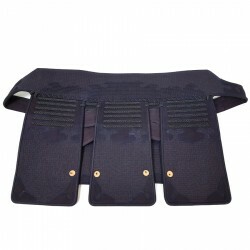 Beautiful design and protective, Genuine indigo dyed deer leather is the premium material for bogu construction. sought after in bogu sets.